E. Vavasseur. Affiches Camis. Imp. Des Arts Industriels. 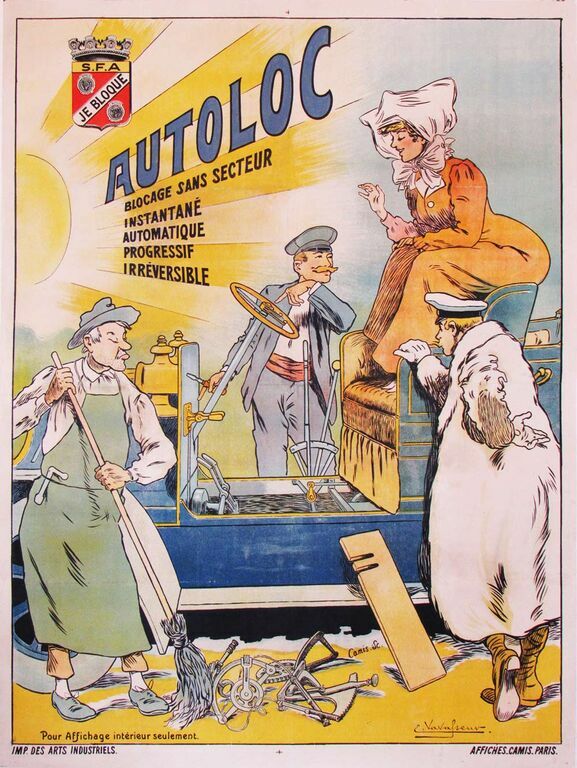 A wonderful original vintage poster advertising an early car emergency brake. In wonderful B+, linen-backed condition.